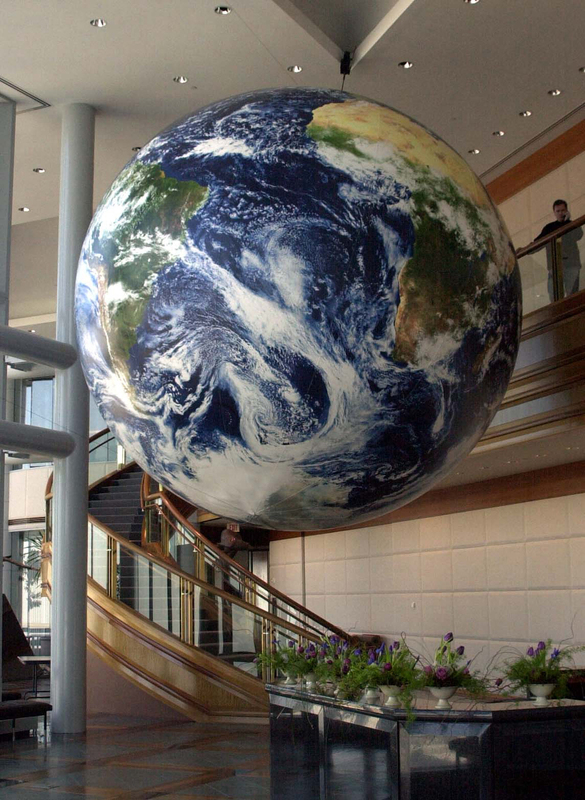 A suspended 16 foot revolving EarthBall enhances this atrium at the 2002 Winter Olympics. 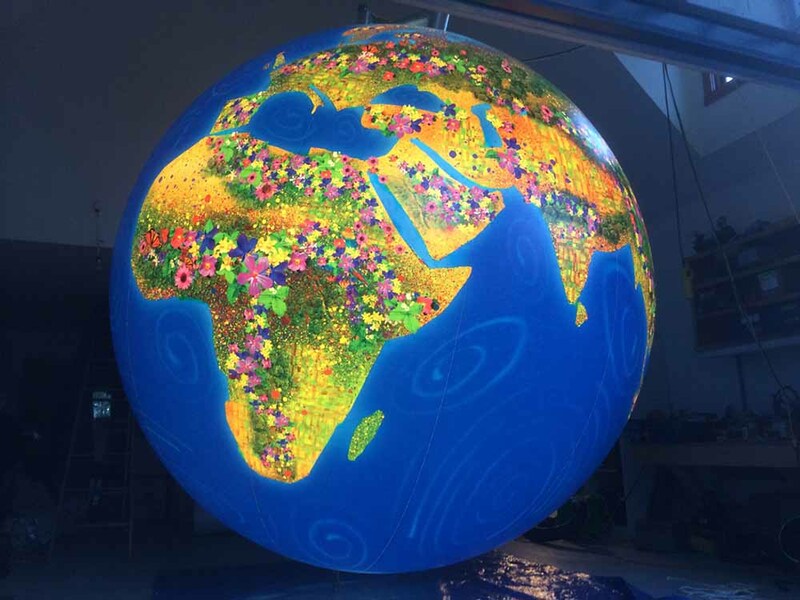 Best for permanent installations & indoor events. 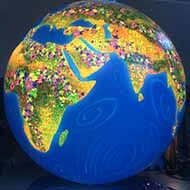 An internally Illuminated rotating EarthBall is a perfect display for attracting viewers at night. 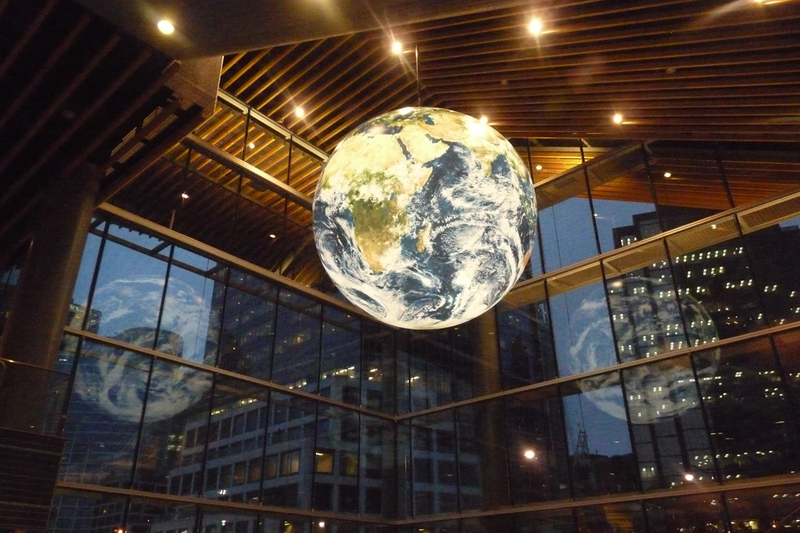 A great feature in lobbies and atriums where visitors can enjoy the world anytime, day or night. 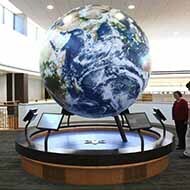 A floor pedestal revolving globe may be easily positioned for flexibility; ideal for outdoors & too high ceilings. Either vertical or tilted axis. 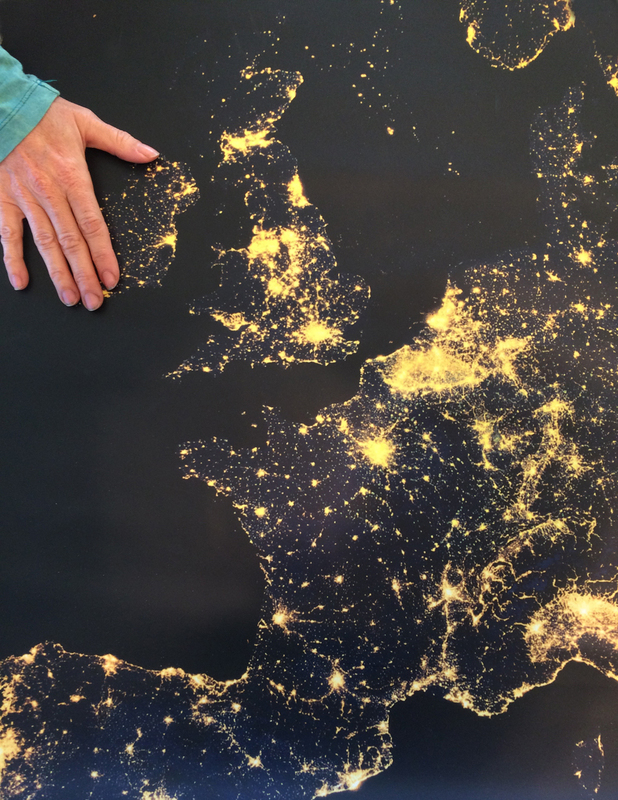 NightGlow Cities is an exclusive Orbis feature that enables the cities of Earth to brightly glow under black UV light as the globe revolves from day into night. The sealed-air configuration allows this world to travel. This version includes webbing points for attaching carry loops or poles. 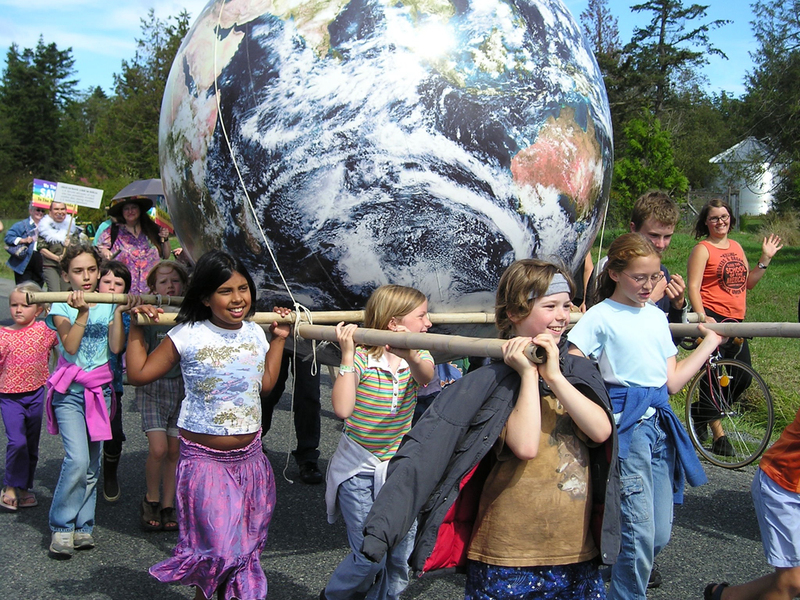 Whatever world you can imagine, Orbis will create it! 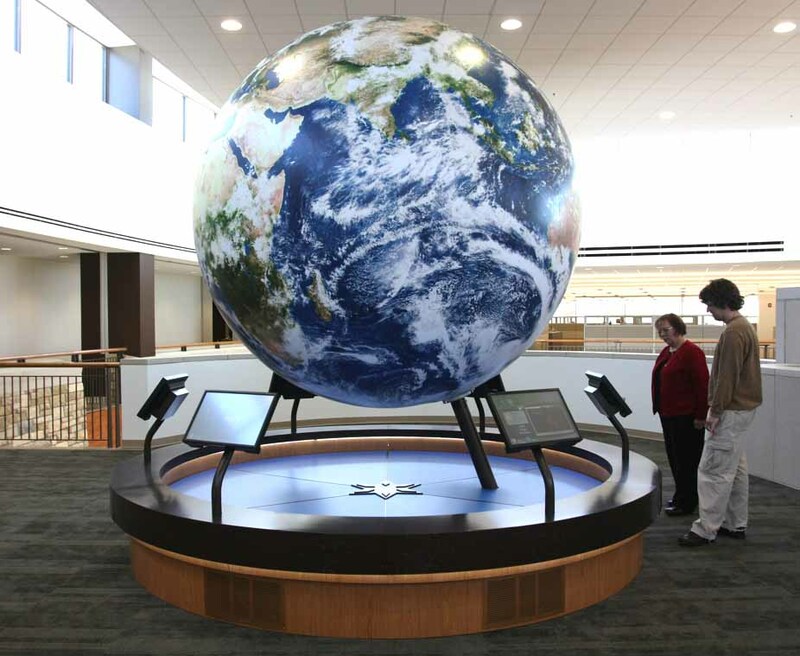 We’ve produced many special worlds with custom features including mounting, pedestals, artwork, internal and external illumination.